All posts in the category "Work in progress"
This article will address the topic of Web-based applications that can be efficient tools to organize and manage team work, particularly in audio and sound related environments, but also for remote postproduction in general. Throughout the course of a production, there are many aspects that are not directly related to the job at hand. For example: organization, data management, task allocation, backups, scheduling, and the exchanging of files are all very important tasks that rarely receive the attention they deserve. In recent years I have incorporated several new ways to improve communication and data management between collaborators of a sound project, as there are many new resources out there aimed at boosting productivity and communication in remote work environments. Although these tools will never replace human contact, they do enhance the fluidity of the process and augment certain elements of collaboration in new and interesting ways. I plan on continuing to integrate these tools to better exploit their full potential and I encourage their widespread adoption by other teammates and members of the audio community. The overall objective is to simplify the process of project supervision and execution for all the steps between task & responsibility allocation up through the final delivery. This desire for simplification and improvement comes in response to existing organizational and efficacy related hindrances that we have encountered thus far. One way we have achieved improvements in these department is by centralizing information via shared cloud resources in order to minimize the need for direct exchanges of information, schedules, documents, and files between team members. These modifications to our workflow increase flexibility as a team in our collective ability to quickly respond to changing needs, demands, deadlines and budget considerations. The challenge lies not only in discovering the tools that are available, but also in collectively trying them out, and finally choosing and agreeing on a selected list of the Web (and otherwise) applications that best suit both our needs and the needs of our customers. I am always open to trying out new solutions that can improve the flow of audiovisual production, though I do prefer applications that are polyvalent and versatile. Please feel free to post your recommendations for other efficient collaboration/organizational tools in the comments below. It is by experimenting with various prospects that we will eventually arrive at and agree upon specific solutions that best fit our respective workflows. As a kick off, here are a few that I am trying out right now. 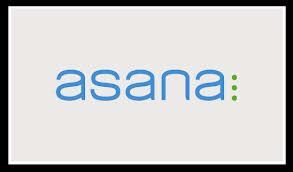 I had the opportunity to implement Asana during the last season of work. It proved to be a useful platform for assigning tasks to specific team members, and for following their progress and confirming accomplishment. It allows us, amongst many other things, to keep track of tasks and to-do lists as well as being a good communication platform for team members. Features like email reminders and project updates allow the team members to stay informed with completed and incompleted tasks of a particular project. Asana is free for 15 collaborators and less. A Smart Phone and Wifi Device App makes it portable and enables instant access to consult and to modify any parameter of a given projects. Very useful for sending, storing, synchronizing, and sharing files via the public link. I updated my account from the basic to the 100 Gig package. When I work on a project, I can now have a Protools session (along with related audio files) on Dropbox, which I can then share with my teammates. We can collaborate remotely on the same session (just not at the same time). There is a lot of potential in improving the editing workflow using Dropbox, and I look forward to integrating it more and more in the future. File size limit to 2 Gig. When organizing a recording session with several sound recordists, we can set up a shared folder in Google Drive in which we put all important documents and data concerning a recording session, such as location, pictures, maps, sounds, videos, activity descriptions in reference to time, and equipment used, such as which microphones were in use and their perspectives or orientation. These comments are modifiable and accessible by anyone, anywhere, at any time, and are very useful in organizing and managing the metadata afterwards. We encountered a few times with file size limits of documents and spreadsheets in Google Drive which has forced us to split our documents in multiple sets. 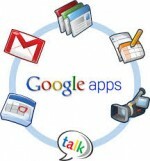 There are many ways to share photos, calendars, contacts, sounds, files, and documents using Google Apps. Searching, translating, scheduling, chatting, sending, alerting and file sharing are amongst the list of features you benefit from Google Apps. In many occasions, Skype really is a way to share video conversation. I recall one conversation with a film director making a final cut on the picture edit while watching, on Skype, the mixing studio screen with final mix sound. Visit my Soundcloud Profile to explore my shared sounds and Demos of my SFX sound collections! Evernote offers several ways to create notes. It is possible to write, record, photograph, send an email and even use the web clipper from a web browser. When using a portable device with a GPS chip, It also integrates many functions of localization. When connected to the Internet, it gives access to the entire library of notebooks, a valuable source of information at my fingertips. Using RSS feeds allows me to stay informed without having to actively seek out new information on subjects I’m interested in. I get a notice everytime a site I follow has updated. Feedly also has a nice user interface that integrates well with Smart Phones and Devices. Of course, there are many other solutions that can provide similar services out there, so help me add to my list, by contributing with your suggestions. It is important to collectively adopt these new powerful tools, as their strengths are only realized in a collaborative setting. It is essential to test them out and to include them in our workflow on a regular basis. I believe that there is room for improvement in nearly all aspects of a production, and by pushing for the integration and uptake of these new tools we will continually refine our working habits. But it is only once we endorse these new solutions that we can then benefit for every other sound adventure ahead.